Geo Blocks: Encourage children to match the Geo Blocks to the shapes on the card and push them into place. 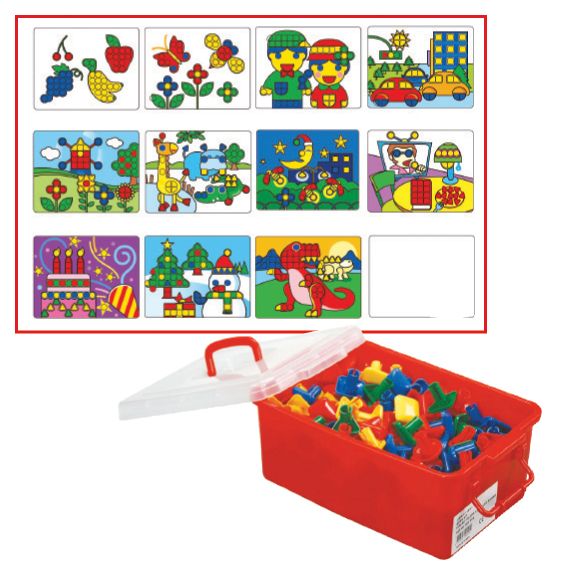 Pack includes: 6 double sided work cards for Geo Blocks, one side printed with one side of the card left blank for free creation, and a 224 piece set of Geo Blocks (14 pieces each of the 4 shapes – square, convex, triangle & circle) in 4 colours. Gear Kit: Encourage children to match the Gear Kit to the gears on the card and fix them in place with axles. Turn the gears and observe their turning directions and speeds. Pack includes: 6 double side printed work cards for the Gear Kit and a 70 piece set including 2 sized gears and axles. Word Building Centre: Encourage children to match the tiles to the letters in the words and push them into place. 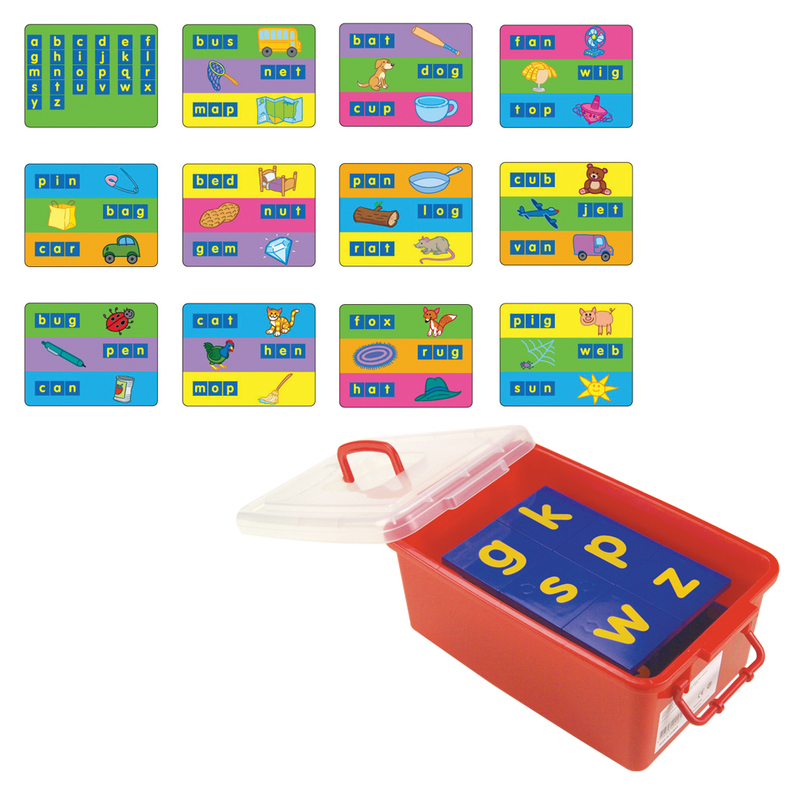 Pack includes: 6 double side printed work cards with 33 words and a complete alphabet along with a 31 letter tile set (1 set of consonants and 2 sets of vowels). 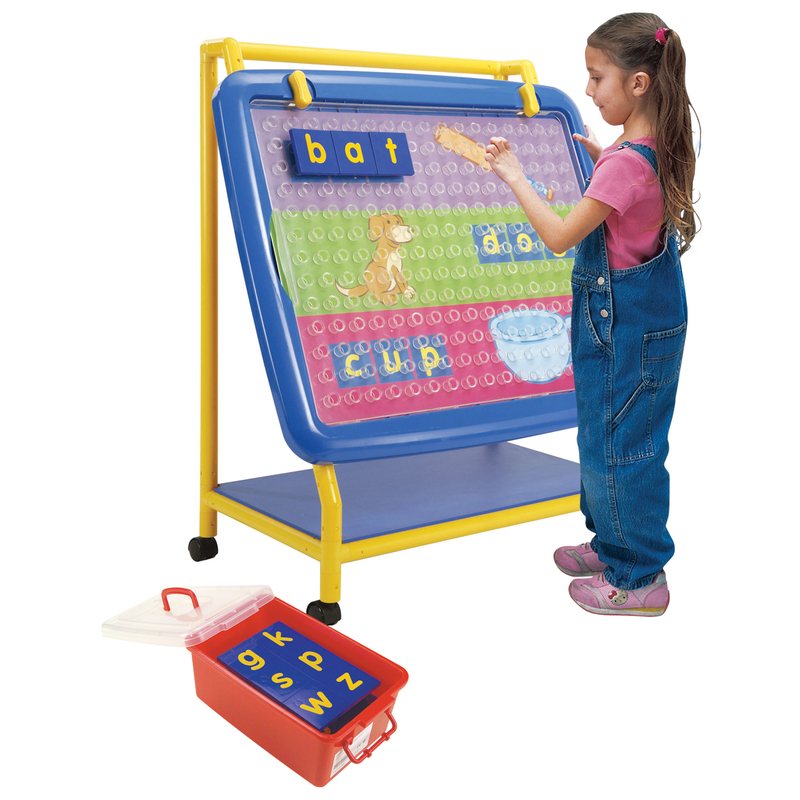 The All-In-One Learning Board is manufactured from strengthened tubular plastic and flat packed for quick and easy assembly. Complete with strong lockable castors.